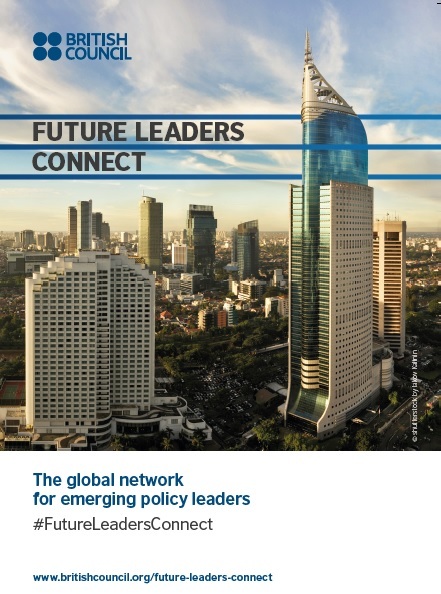 The deadline of Sunday 13 May is now approaching to be part of the Future Leaders Connect - the global network of emerging policy leaders. 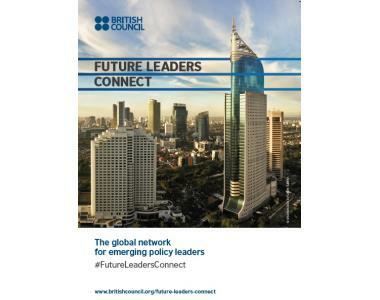 The British Council is looking for new members to join its international policy and leadership programme. You must be aged 18-35, have a policy idea which could make change across the UK and beyond and be able to attend the nine day programme 22 – 31 October 2018. This is a fantastic professional development opportunity for anyone looking for advanced learning, access to global leaders and those seeking connections across the world. 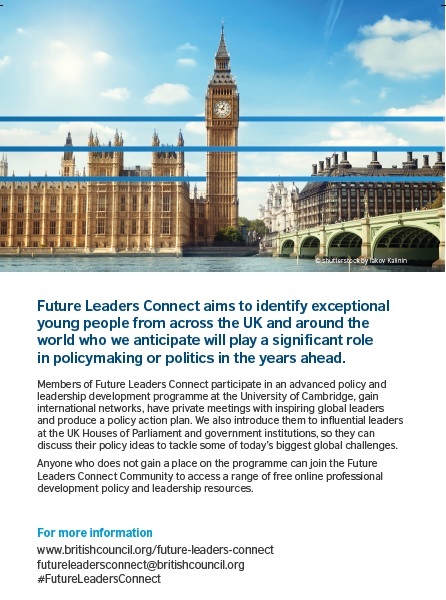 As a member of Future Leaders Connect you will access a nine day residential programme of advanced policy and leadership development at the University of Cambridge. You will be part of a group of phenomenal young leaders from around the world discussing today’s biggest global challenges in the Houses of Parliament and you will have private meetings with inspirational leaders. The costs of travel, accommodation and meals are covered by the British Council and the programme is fully accessible. Last year Future Leaders Connect members met with former UN Secretary Generals Kofi Annan and Ban Ki-moon as well as other world leaders. 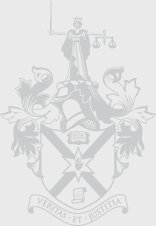 They presented their policy ideas to Ministers at 10 Downing Street and since taking part in the programme almost all of the UK members have accessed a fully funded international professional development opportunity.